For some of us, beer is as big a part of the holidays as cookies and carols. What better way to accompany tree trimming than Full Sail’s Wreck the Halls, or to welcome the weather than Pyramid’s Snow Cap (or, given our recent cold snap, Widmer’s Brrr)? 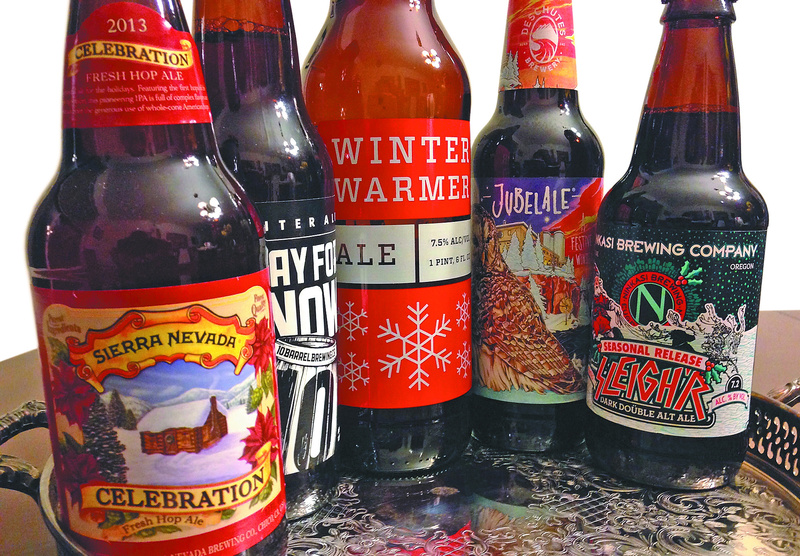 We asked area brewers about their favorite seasonals (other than their own). Some mentioned familiar standbys, like Sierra Nevada’s hop-forward Celebration, a must-have for No-Li brewmaster Mark Irvin and River City’s Gage Stromberg. Others cited somewhat more obscure offerings, like Jolly Roger from Seattle’s Maritime Pacific Brewing. Look for it at Total Wine, Huckleberry’s, JB’s and other specialty bottle shops. Brian Guthrie of Ramblin’ Road took a liking to Cabin Fever, from Bellingham’s Boundary Bay, when he lived in Seattle. While Boundary Bay’s beers are rare over our way these days, bottles of Cabin Fever should be arriving shortly at Zag’z Liquor Store, 1101 N. Division St.
As for us, it wouldn’t be Christmas Eve without a bottle of Anchor’s spiced Our Special Ale – followed by a little Wild Turkey and ginger ale. After all, man does not make merry by beer alone. • No-Li’s latest draft-only specialty is a brown porter (6.5 percent alcohol by volume, 20 International Bitterness Units) that’s fairly dry and lightly roasty, with plenty of caramel and toffee flavors. • Twelve String will introduce its Volume 2 second anniversary ale at a release party Sunday from noon to 6 p.m., with an appetizer buffet and brewery tours. The strong Cascadian dark ale (around 9 percent ABV and 100 IBUs) is full of both white and midnight wheat malts. Also arriving this week at the Spokane Valley brewery is the Twelve Strings of Winter (7.2, 77), a double dry-hopped winter warmer with hints of cinnamon and vanilla. • This year’s malty Stack Frost winter warmer (7.3, 27) should be tapped any day now at the Steam Plant. In the meantime, the downtown Spokane restaurant/pub has been serving some of last year’s version. • In Pullman, Paradise Creek is pouring its Stocking Stuffer, an imperial stout with cocoa and cherry notes. • Mad Bomber in Hayden is readying three beers it hopes to have on by Christmas: a loosely Scottish-style ale, a big nitro stout and a rye IPA. • No-Li: $3 off on Sundays (regular prices $10-$18, depending on the beer). • Iron Goat: Tuesdays, $10 for all fills. • River City: Tuesdays, $10 for all fills. • Twelve String: Tuesdays, $10 growlers of three selected beers. • Budge Brothers: Wednesdays, selected beer for $5. • Hopped Up: Wednesdays, selected beer for half-price (regular fills $12). • Trickster’s: no discounts (regular fills $8). • Steam Plant: no discounts (regular fills $10). • Slate Creek: no discounts (regular fills $12). • Mad Bomber: no discounts (regular fills $12). And at Selkirk Abbey in Post Falls – where the glass in the front door was shattered by a runaway pickup in October – growler fills for all the standard Belgian-style beers are $11 until permanent repairs are made, which likely will be after the holidays.